Are you ready to take your content marketing to the next level? You’ve already learned the basics, like how to optimize your content with keywords. Now you want to create an exceptional content marketing strategy for your brand, but you know that the basics are just not going to be enough. To plan the perfect campaign for 2017, make sure you avoid the terrible content marketing mistakes below. Every marketing strategy should start with thorough audience research. For your content marketing to be effective, you first need to have a clear picture of the people you’re trying to reach. Who are they? What do they care about? What interests them? You need to know what they like, (and don’t like), so that you can produce, and market content based on their preferences. Let’s say you’re in the finance industry, and you’re planning to promote your business through content marketing. You can’t just write hundreds of articles about finance and expect to see results. Instead, you need to think about what kind of people would be interested in your business. Do you want to target working parents? Or is your focus on small business owners? First, clearly define your target demographic. Then conduct audience research to find out more about them. What are their interests? How do they access information? Use that data to come up with a content marketing persona to use as the foundation of your content marketing plan. Case study: Audience research formed a large part of be.group’s effective content marketing strategy. In the past, the senior living company relied on promotions through local print and outreach campaigns. But when they saw an opportunity to reach a larger audience online, they decided to give content marketing a try. Their plan was to provide relevant online content to people seeking reliable information about senior living. To plan an effective strategy, be.group conducted thorough audience research that focused on seniors and their families. They came up with three main target personas, each with highly specific needs and experiences. That helped them map out a buyer journey, and also gave them leverage to develop a wide variety of online content. They developed quizzes and resources to guide their target personas through the various options available. They also used videos and photos to give their target consumers a behind-the-scenes look at life in the community. Their content marketing was highly effective. The campaign, combined with a website redesign, yielded a 55% boost in traffic on their corporate website. It also helped be.group increase their online leads by 700%. When you have your target audience all figured out, it’s easy to make the mistake of producing content that is too specific. If you create content that only appeals to people in a very specific niche, you miss out on the opportunity to reach a broader audience of potential customers. While it’s important to target a specific audience when creating content, you should also create content that is more broadly appealing if you’re striving for growth. For example, you’re in advertising, and your target audience is business owners. 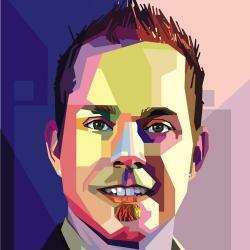 So you produce content with advertising tips and best practices geared towards a business owner. But what if you’re missing out on the chance to reach other potential clients? There are many other types of organizations that may be interested in your services, such as charities, hospitals, and educational institutions. Case study: For TravelMath, creating and promoting broadly appealing content was a vital part of their content marketing strategy. Being in the travel industry, the company created content related to travel. However, that content did not target only travel enthusiasts. They came up with a series of campaigns, such as Airport Rankings, which lists airports ranked according to various factors. Another campaign, Airline Hygiene Exposed, reveals the dirtiest places at airports and on airplanes. Their content received coverage from major news and online publications, including Yahoo! News, Thrillist, The Huffington Post, CNN, and The Washington Post. As you can see, their content was geared towards travel, but not specifically targeted at travel enthusiasts. Everyone who travels by airplane for pleasure, business, or other reasons can find the information useful. TravelMath launched a total of three content marketing campaigns, which received more than 70,000 social shares in total. In addition to the web coverage by major publications, the campaigns also received TV coverage on The Today Show and Late Night with Seth Meyers. If your content marketing strategy doesn’t already include a way to track the performance of your content, it’s time to turn things around in 2017. Even when you have the perfect plan, target the right audience, and produce the right type of content; some of your content will not perform as well as others. For your content marketing to be more successful, you need to identify low-performing content, and figure out what you’re doing wrong so you can correct it. At the same time, you need to find your top-performing content, and figure out what you’re doing right, so you can continue doing it. You can measure the performance of your content by tracking relevant metrics, like click-through rate, social shares, comments, and performance on social media. Based on those metrics, identify content that’s performing well, and content that’s performing poorly. Then analyze your content carefully. Do the high-performing posts have anything in common? Are there common mistakes in the low-performing ones? Use what you learn to adapt, and improve your content marketing plan. For example, if list posts perform better than tutorials, increase the number of list posts you produce, or leverage the top-performing posts with sponsored ads on social media. 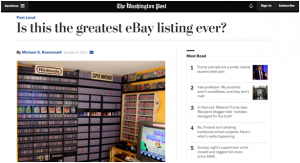 Case study: eBay needed to find out what type of content was the most effective for their business. They tracked the performance of several experimental posts on their Facebook page. The posts included a variety of different content, such as lists, guides, and viral products. eBay measured the performance of the posts based on three main metrics – clicks, reach, and engagement. They then compared that data to the performance of their posts during the previous quarter. They found that some of the experimental posts had a 225% higher click-through rate, and a 60% larger reach. They decided to promote the strongest performing post from the campaign further, using paid spend. That post received lots of coverage from external media, and major publications like TIME, The Washington Post, Business Insider, and GameSpot. 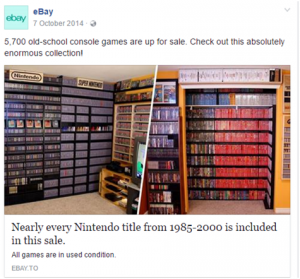 By tracking the performance of their posts, eBay discovered what type of content was the most effective for their brand. That information was extremely useful for their future content marketing planning. With proper planning and execution, content marketing can be a cost-effective solution for promoting your brand. Now that you understand the worst content marketing mistakes, and how to avoid them, you can get to work on a highly effective plan for your business. Got any questions about content marketing? Feel free to leave a comment below. If you need some guidance to plan and execute a successful content marketing campaign, just let me know. I’m happy to help.